Today's math teachers must provide high-quality instruction to very diverse students. All teachers responsible for mathematics instruction should take advantage of professional development opportunities. During a staff development meeting of first-year teachers in January, Angela Smith, Joseph Lopez, and Chris Johnson met again to compare experiences. They all agreed that mathematics classes today are not like their own experiences in school. "We had to sit in rows, not speak, and solve long algorithms exactly like the teacher modeled," shared Chris. "Our third-grade teacher took away free time if we could not pass the timed one-minute fluency tests," complained Angela. "I remember going to the blackboard to show proofs in front of the whole class and feeling superior if I had a solution and no one else understood it," recalled Joseph. "Our elementary mathematics classes are working on topics such as algebra and statistics that we weren't introduced to until late middle school," reported Chris. "These students are working in small groups on teacher-posed problems and are allowed to use any method that works as long as they can justify their solutions. My role as a remedial teacher has been to build up gaps in prior knowledge, teach explicit strategies, and provide alternative examples when students are not making critical connections. I have been working closely with all the school's teachers to get to know the curriculum demands." "At the middle school I have actually been a co-teacher with three of the mathematics teachers," Angela shares. "I had no idea how advanced the concepts had become – algebra, statistics, and integrating geometry with everything. The students love the hands-on work and working in small groups and, surprisingly, they are not off-task. Perhaps that's because they have two teachers but also because the math they're working on is interesting to them – we use sports, current events, music, space travel – whatever is interesting for these students has powerful mathematics applications. Our goal is concept understanding and making connections, not just working problems." "I have been surprised how much I enjoy working with the students who struggle with mathematics," exclaims Joseph. "It has been a challenge for me to figure out what they already understand and how I should present the next concept in these college-prep classes. The special educators have been so helpful in showing me how to design good assessments of student learning and multiple examples for new concepts. I was worried I would have a group of students working out of middle school workbooks, but we've been able to work on the same concepts with the extra time in the mathematics support classroom. These students are actually going home and challenging their parents with interesting mathematics problems. Imagine that!" Angela, Chris, and Joseph have highlighted the critical features of today's mathematics classes. Today's teachers and students work together in classrooms with more diversity. Students with disabilities, language and cultural differences, varying socioeconomic backgrounds, and a range of abilities learn in mixed groups. 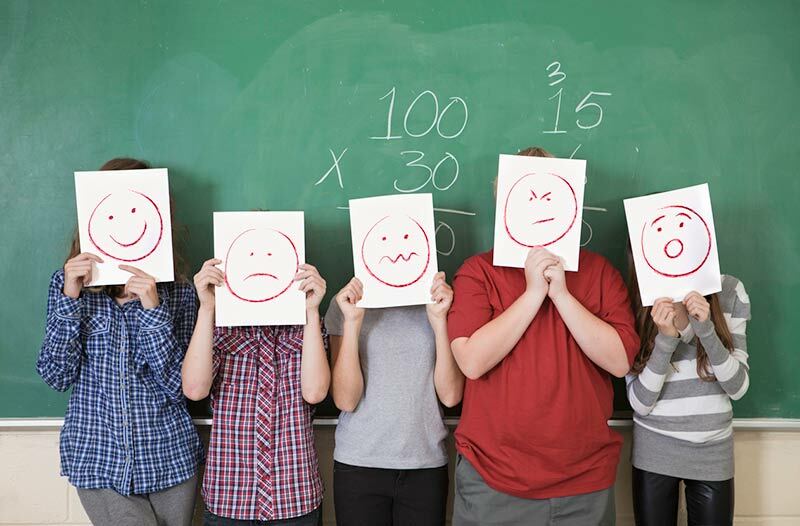 Schools and teachers are under increasing pressure to demonstrate that all their students are performing according to grade-level standards. The mathematics curriculum is more standardized across classrooms because of national and state standards and state-level testing programs. Today's mathematics teachers must provide high-quality instruction to very diverse students in a climate of reform and accountability. Students in these classes are using more hands-on materials and technologies to understand concepts. They are working in groups and discussing concepts among themselves, coming up with alternative solution strategies and defending their reasoning. Teachers pose problems that lead students to make mathematical connections across concepts. The curriculum is challenging, with advanced topics introduced earlier, but relevant to students' interests. And teachers are working collaboratively so that all students will be successful in learning. The roles of educators responsible for mathematics instruction are changing. General education mathematics teachers serve more diverse students and work with more support personnel than ever before. Special educators provide a broader array of support services including full co-teaching within general math classes and support teaching in pull-out programs. Remedial teachers sometimes specialize in mathematics and offer a range of pull-out, co-teaching, and after-school services, working with the total mathematics program in the school. With the increase in decision making at the school-building level, program models may be extremely varied and creative as they are planned by parent and teacher partnerships. These changing roles and responsibilities may require additional teacher training. General education mathematics teachers should have training in methods for designing instruction and accommodations for students with learning differences (disabilities, language, culture, giftedness) and collaborating with other professionals, not just an overview of student characteristics. Special educators should have training in specific mathematics pedagogy that is applicable across the grade levels, including planning mathematics assessments, providing research-based interventions, working collaboratively with mathematics teachers, and locating and using mathematics resources. The NCTM's position on the mathematics training of elementary teachers calls for mathematics specialists in each school who have a minimum of nine semester hours studying "fundamental ideas of elementary school mathematics" (Lott, 2003). However, elementary and secondary teachers responsible for mathematics instruction should have basic knowledge of the full PreK to 12 curriculum. All teachers responsible for mathematics instruction or the support of that instruction should take advantage of professional development opportunities in mathematics pedagogy and individual student program planning. Administrators should provide support for professional development and establish a truly collaborative atmosphere within schools in which professionals can share resources, conduct joint planning of units and assessments, and monitor instructional effectiveness and mathematics achievement of all students. By working together in supported collaborative teams, teachers can meet the mathematics learning needs of all students.